By default when you install WordPress, the username is “admin”. If someone is trying to hack into your site the first username they would try is “admin”, and if you use “admin” all they have to now do is guess your password. So, it is highly recommended that you never use “admin” as the username used to login into WordPress. You can choose a different username while first installing WordPress. However, you cannot change your username once created. 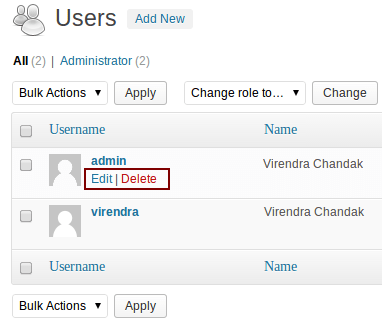 You can change the username by running queries in the database or use different plugins for it. However, there is a much simpler way to change your username. In this post lets see how we can change the “admin” username (you can use similar steps for any other username). 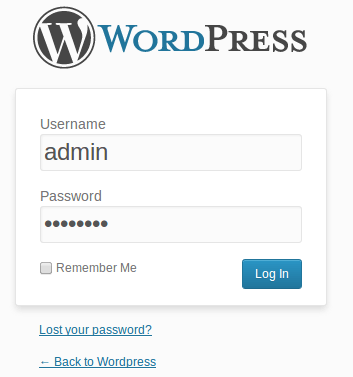 Login into your WordPress Admin area using an administrator account. Use a username that is different from the name you display publicly on the blog. You will have to use a different email than what you have for the admin user. Make sure to make the user “Administrator”. Once you have created the new user, logout and login into your WordPress using the new username. Go to “Users” > “All Users” menu. Move your mouse over the “admin” username, and you will see the “Edit” and “Delete” links. Click “Delete”. 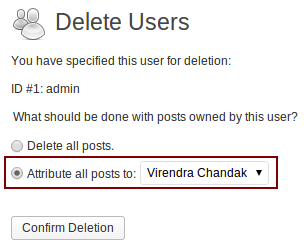 Select “Attribute all posts to” and then select the new username that you created from the list. Doing this will make sure that all your posts are not deleted and marked as created by you. After following the above steps, you will have changed your WordPress username (by creating a new user, assigning each post to new user and deleting the old user). 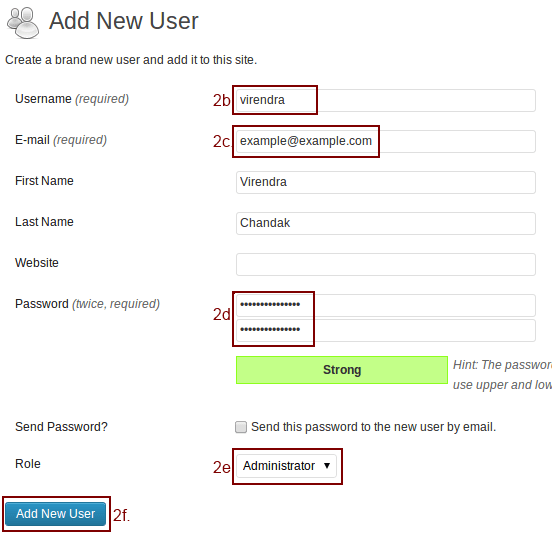 You can use similar steps above to change any WordPress username. Great 🙂 What a simple way no body can just imagine this way.